Don't think about Egyptian curses which need to be un-riddled by specialists, history lovers or book readers. 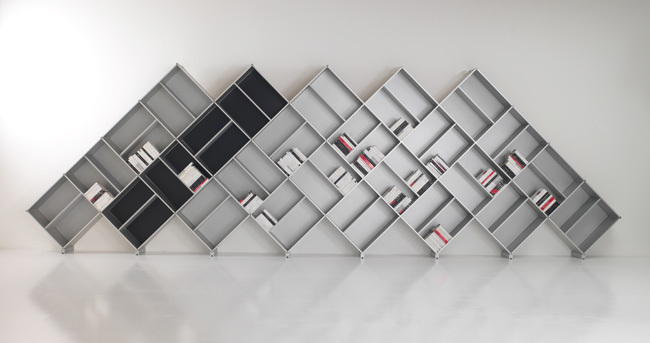 Here is a discovery I "made" regarding trendy and eco friendly furniture; the pyramidal shelf, a thing which you can't ignore if you happen to be in the same room with it. I guess furniture designers bet on unusual furnishing just because we can't ignore such things, thanks to their shape or materials used. Another must have piece of furniture which knows no law of gravity if you happen to close your eyes and only peek at it. 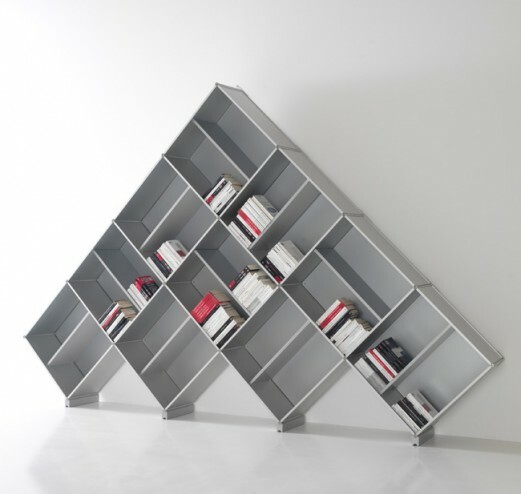 And the funny thing is that the pyramid shelf is very light, as it is made out of aluminum. No seriously, do the experiment and you will think that the pyramid book shelf floats above the ground. I have to give the Italians from Fitting studio straight tens for their execution and great idea. This is not just another way to arrange you books; it is a "fashion" indoor statement.